The radio reading of a meter enables to get the index of the meter, and also different information without any need to reach directly the meter. 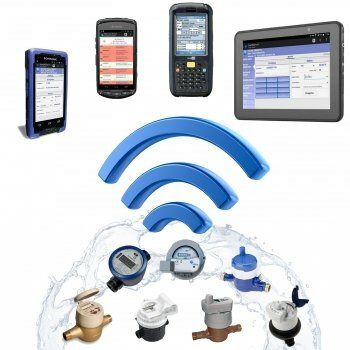 Different arguments, given by the water utilities, by the big company of water distribution and by the meter manufacturers, are in favor of using radio water meters reading solutions. The reading frequency increase, which enables a billing based on real indexes and not on estimated ones anymore. The automated management of the billing. The leak detection, the blocked meter detection and the deterioration of the check valves detection. The detection of breakages, tampers and meter deterioration attempts. The reduction of the workforce, and so on the reduction of the workforce costs. Nogema Ingénierie offers solutions enbaling to effectively manage the consumptions of a network in order to avoid any error of entry or forgetting. Thanks to radio technologies, the indexes are captured remotely and then retrieved from the mobile terminal. Reading water meters (or other type of meter) equipped with radio heads.